On 13th May 1536, Henry Percy, Earl of Northumberland wrote to Thomas Cromwell. The subject of his letter was the alleged pre-contract which was said to have existed between himself and Anne Boleyn before she married Henry VIII. Percy had already denied the existence of such a pre-contract, when interrogated by the Duke of Norfolk and two archbishops in 1532, by swearing an oath on the Blessed Sacrament. However, Cromwell resurrected the issue in May 1536 and put pressure on Percy to admit to a pre-contract. Percy stuck to his guns and Cromwell had to enlist the help of Archbishop Cranmer to find another way to annul the King’s marriage to Anne Boleyn. 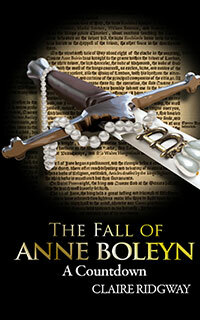 Also on this day in 1536, Anne Boleyn’s royal household at Greenwich was broken up. Anne hadn’t even been tried yet, never mind found guilty! Henry VIII was obviously confident that Anne was going to be condemned. Well at least Northumberland had the back-bone to stick by his word, and not crumble under interrogation. As for the Anne’s household being broken up,near enough in front of her eyes, because I am sure the ladies attending her would have tripped over themselves to tell her, the poor lady would have had no doubt now about her end…how cruel, callous, and heartless these actions were, to the woman he had fought for 7 years to make his wife and Queen. I’m sure Henry Percy feared being excited himself if he admitted to a pre contract!